A person need only look at food asthe body is already beginning to prepare for the digestive process. In the brain, the signals are formed that make organs of the digestive system to produce digestive juices and enzymes. However, events such as a festive meal for the body to make certain danger and create discomfort in the digestive system. human digestive system hasparticular operation. 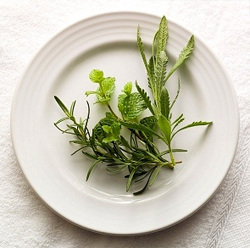 A person need only look at food or think of it as the body is already beginning to prepare for the digestive process. In the brain, the signals are formed that make organs of the digestive system to produce digestive juices and enzymes. The enzymes needed to break down complex structures and food molecules to simpler, such as those capable of being easily absorbed in the intestine and then will be used for energy provision as well as the construction and resumption "worn" structure or damaged cells. A special role in the development of digestive enzymes, the pancreas plays. It was her secret falls into the duodenum, where there are basic processes of digestion. Why during celebratory feasts so often happen indigestion? It should be noted that in the processhuman life as the body gets used to a daily diet of human food and usually produces approximately constant amount of different types of enzymes. However, events such as a festive meal for the body to make certain danger and create discomfort in the digestive system. This is predetermined by the fact that the diet of the festive table is significantly different from those foods that we eat on a daily basis. 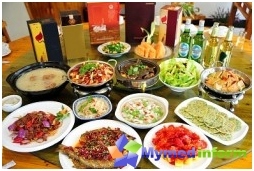 In this case the body is not able to react quickly and to synthesize the right amount of enzymes to digest everything that we ate at the banquet table. That is why we have a feeling of heaviness in the stomach (undigested food lingers too long in the lumen of the stomach and duodenum), swelling (undigested food residues become a wonderful environment for the growth and reproduction of microorganisms and their metabolic processes are accompanied by flatulence). In order to facilitate and help their conditiondigestive system, scientists have synthesized analogues of the enzyme that synthesizes the pancreas. Because your own body can not provide an adequate number of them, we can help him, taking into ready enzymes. However, a wide range of products to improveindigestion, striking advertising and numerous acquaintances tips can only hinder our choice of means which we need. Few realize that the composition of complex enzyme preparations is significantly different. And it is that one drug is wonderfully suited to a certain person, and another person he can not, that does not help, and even harm. The first group includes drugs,which contain only pancreatic enzymes without additional substances (Creon, Mezim forte). These drugs can be consumed each, after referring to the instruction. People who have seen flatulence, Should not take drugs containing cellulose, and simethicone activated carbon to remove swelling symptoms and discomfort associated with it. These are drugs like Enzimtal, Festal, and the like. The third group includes drugs touse of which should be treated with caution for people who have cholelithiasis. Bile acids, which are included in their composition, stimulating bile secretion, can provoke an attack of colic. However, for people with biliary dyskinesia hypokinetic type for these drugs (Panzinorm forte, Festal, etc.) Are the most appropriate. It is also hard to deal with the form in whichbetter take enzymes because they are both in tablet form and in the form of capsules containing pellets inside. It is said that the gold standard in the reception of enzyme preparations, especially when it comes to their long-term use, there are preparations in the form minimicrospheres. 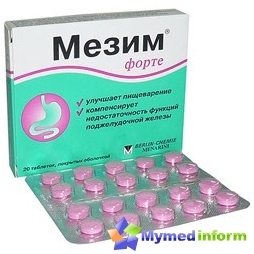 They should also have a double shell: the first capsule comprises microspheres that are dissolved in the acidic environment of the stomach and well mixed with the contents; Second, enteric coating dissolves directly into the intestine, where the digestion takes place. It is obvious that this form of medicine helps the best delivery of the drug directly to the site of action. However, when using enzyme preparations suitable only when necessary and a tablet formulation. Now that you know all the nuances of the preparations forimprove digestion, readers of our site will be much easier to pick up a "helper" Statement for the holiday table and enjoy the holidays to the full, forget about the discomfort associated with digestion.